The Tours of Fly Cozumel to Chichen Itza, offered through our website, are fully Private. The airplane and the guide are only for you and your friends and family. 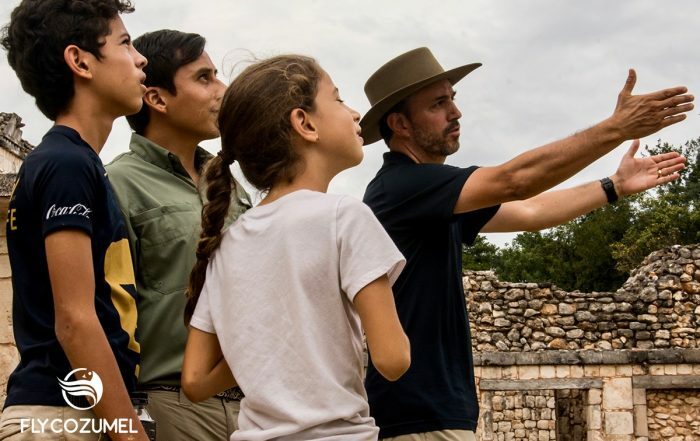 Sometimes guests gather other guests to split costs, though generally speaking our Tours (we are able to fly to Chichen Itza from Cancun, Cozumel and Playa del Carmen) are Private. We have something exciting to announce. We are proud and call it ourselves “the extraordinary”. An exclusive travel experience that, we have to be honest, is not for everybody. 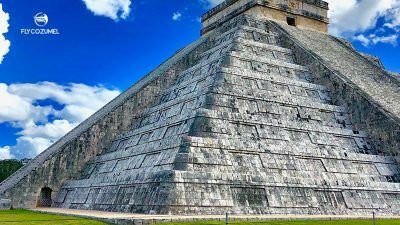 But if you are looking for the ultimate, truly ultimate Private Tours to Chichen Itza, check the info of our latest Tour. 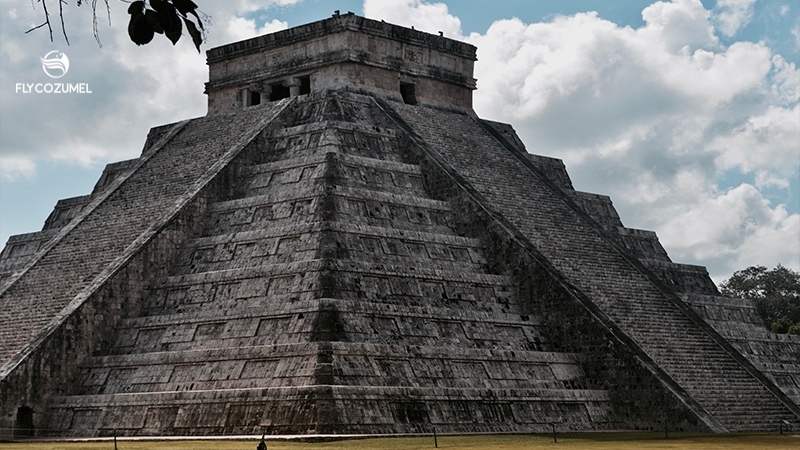 2 options to privately visit the archeological site of Chichen Itza by airplane. 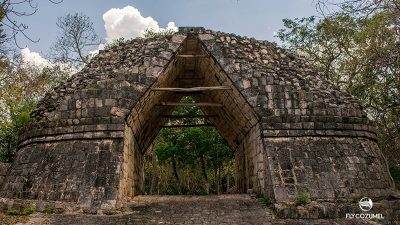 Whether you are staying in a resort or arriving to our area by cruise, flying to Chichen Itza is a wonderful way to visit the Mayan ruins. 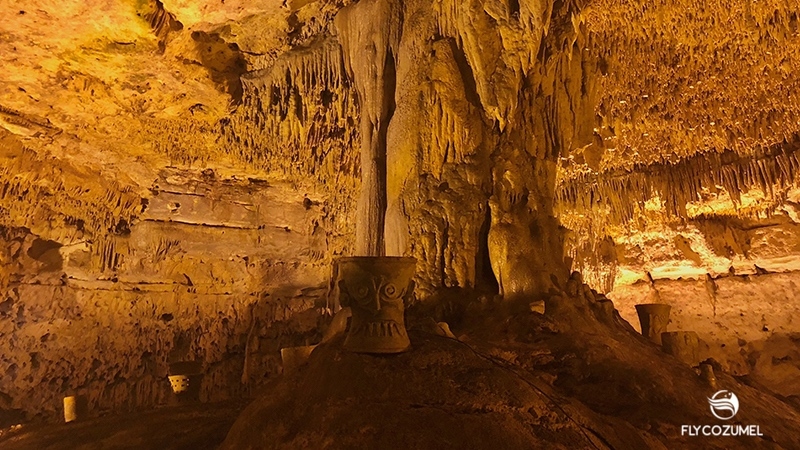 Most of the times we include pick up in our Private Tours. And when you arrive by cruise in Cozumel we guarantee we bring you back at the dock in time. Traveling by airplane to Chichen Itza costs more than traveling by (ferry and) bus. But obviously it has its advantages. Arrive before the crowds that travel by ferry and bus / car. Travel time is only 35 minutes instead of 3 to 5 hours. The flight itself is very memorable. 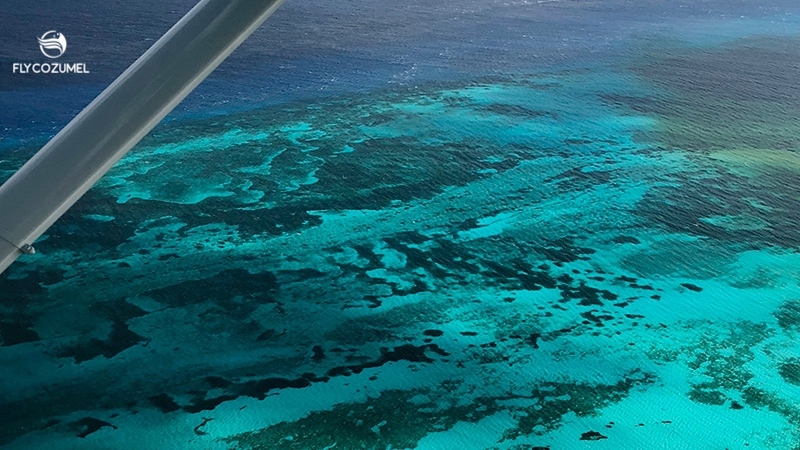 Beautiful aerial views of the Caribbean, blue and turquoise waters, the jungle and cenotes. Great opportunity to make stunning pictures. 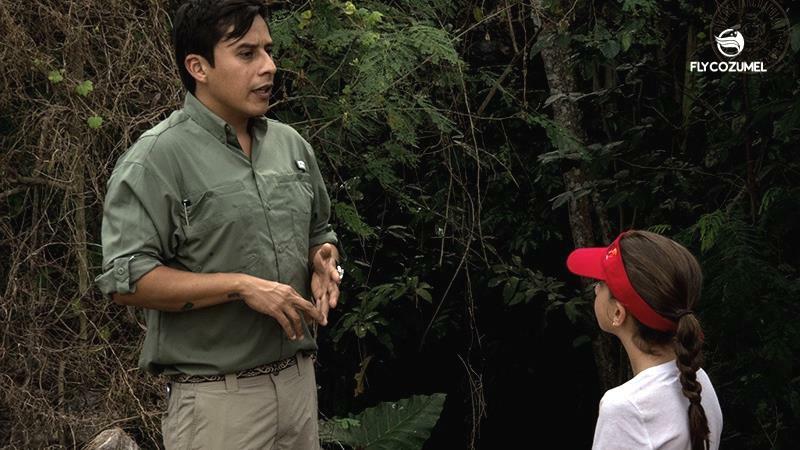 Much more time with your guide in Chichen Itza. 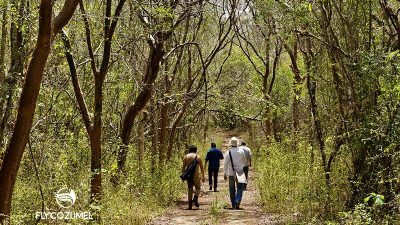 We include a 1.5 to 2 hours Tour with a Private Guide. Feel free to check Tripadvisor reviews of guests that travelled with us. A YouTube video will give you a brief impression. NEW. 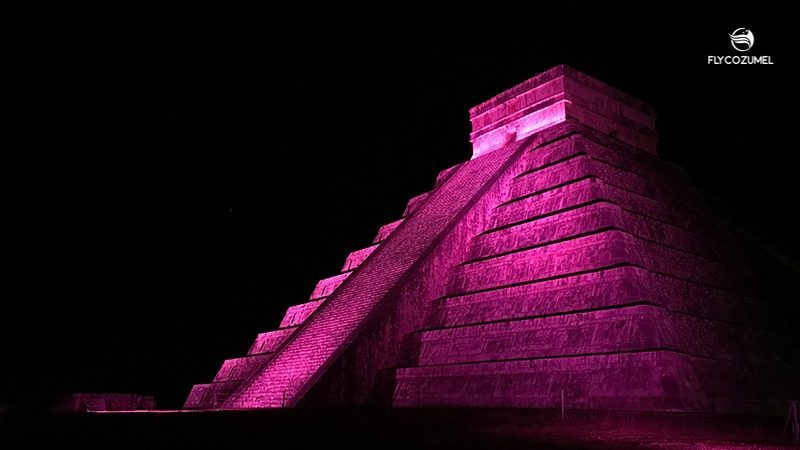 When you would like to visit Chichen Itza but “regular” Private Tours are not enough for you; in other words you prefer the highest level of privacy and exclusivity, then Fly Cozumel is your partner. As of now we offer the extraordinary. This is not for everybody and from our side we will carefully select who to take on this trip. Chichen Itza fully for yourself, with absolutely no other people. Visiting parts of Chichen Itza that are not open to the general public. 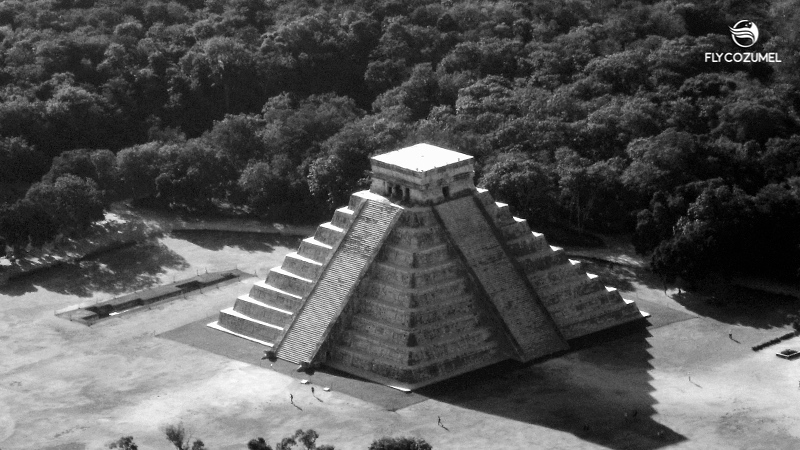 Watching the Kukulcan pyramid underneath the stars. An early visit to Chichen Itza, before opening hours, with an archaeologist. Whatever you can think of… contact owner of Fly Cozumel, Leo, directly for Chichen Itza Exclusive and Private Tours: leo@FlyCozumel.com or through or through i-phone +52 1 987 5648162.